Painting has fascinated Tina in her entire life. 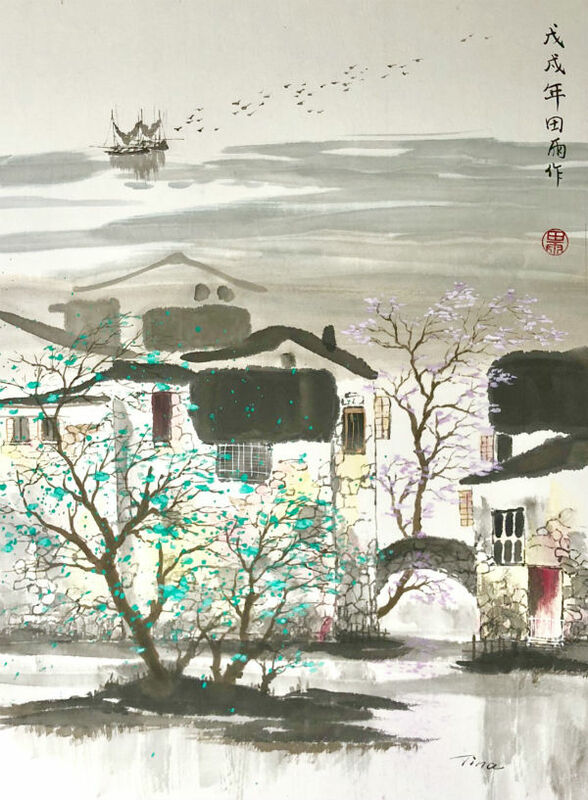 Growing up in China, she learned brush painting and traditional Chinese calligraphy. In 2006, she moved to Switzerland, and began to study western painting techniques. Since relocating to Cornwall, Tina has become a full-time artist. Her technique uses “free and loose” brushstrokes to capture landscapes, birds and flowers on rice paper. Her exhibition works reflect her own, personal style: a blend of classic and modern Chinese concepts. Her art work has been exhibited widely in the UK.